Weights – Weights can be found in Section 2.1.3. in the amateur Rule book on Page 9. · Categories will be ENFORCED at all events. · No straddling of categories. 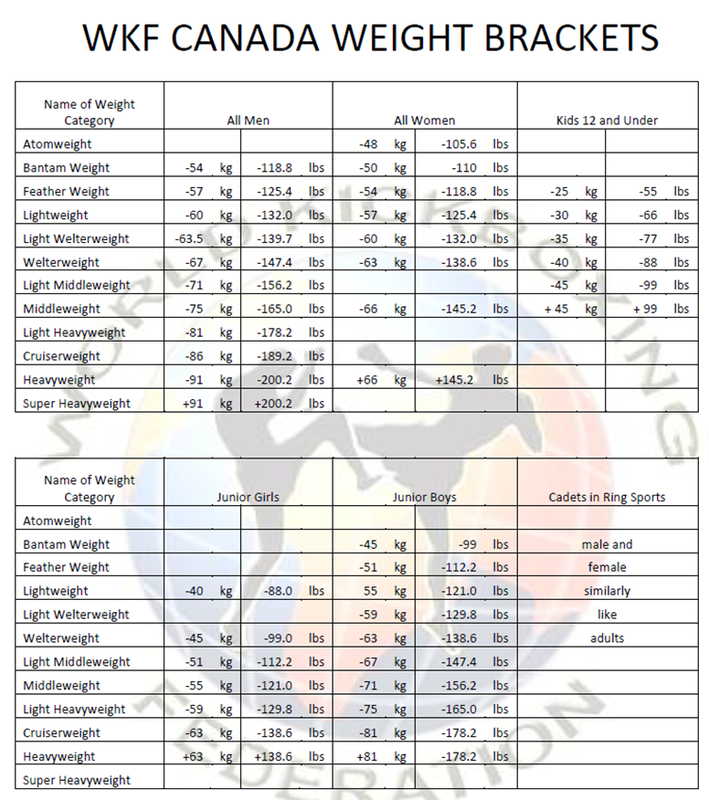 · 1 hr to make weight – the bout will not commence if a competitor does not make weight. “Demos” are prohibited on WKF Sanctioned Events. · Scale can be provided by promoter or WKF. 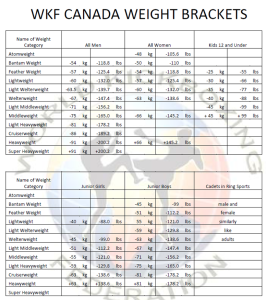 · Both competitors must be weighed on the same scale. There is no “allowance” of weight. Competitors must be within the same bracket.